The firm is suing Catholic Charities after a case worker failed to report a Cleveland mother whose home was in deplorable condition. CLEVELAND — A lawsuit filed Tuesday alleges Catholic Charities ignored neglect and poor living conditions in the case of 5-year-old Jordan Rodriguez, who was killed by his parents and buried in a Cleveland yard two years ago. The suit, filed by the Deratany Firm, alleges a case worker contracted by Catholic Charities failed to make visits to the Rodriguez home, which authorities found in poor condition. 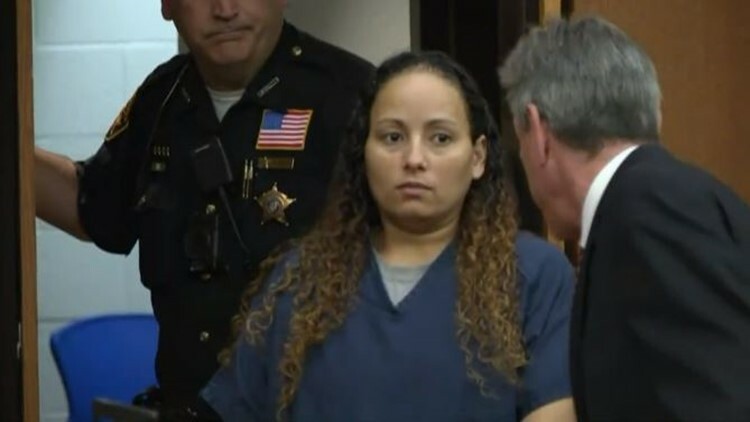 Case worker Nancy Caraballo is also accused of striking a deal with Jordan's mother, Larissa Rodriguez, trading food stamps for cash from July 2015 through December 2017. Caraballo paid Rodriguez 50 cents for every $1 of food stamp benefits, which totaled $10,058. Caraballo, who pleaded guilty for a lesser sentence, was sentenced to three years behind bars. Caraballo's role required her to make monthly home visits to evaluate the Rodriguez children and refer them for education services. On at least 11 occasions, Caraballo falsified her reports to cover up the fact she had not been inside the home. It was Caraballo's responsibility to report neglect and abuse to the proper authorities. Court documents revealed that Rodriguez's W. 80th Street home was in deplorable condition. The home was infested with cockroaches and rats to such an extent that one of Rodriguez's nine children was seen eating a sandwich with cockroaches inside when police arrived. In December 2017, police received an anonymous 911 call claiming Rodriguez had buried her son in her back yard. Jordan's body was found in bags in the yard, leading to Rodriguez's arrest. Court documents stated that Jordan's remains showed "multiple signs of abuse, including broken ribs." Prosecutors also charged Larissa's husband, Christopher, for Jordan's murder. Christopher Rodriguez was already serving time in the Medina County Jail for unrelated crimes. Larissa and Christopher Rodriguez both pleaded guilty to a lesser involuntary manslaughter charge last June. They also pleaded guilty to felonious assault, endangering children and offenses against a human corpse. In exchange, prosecutors dropped murder charges against the pair. Larissa Rodriguez was sentenced to 25 years in prison and Christopher Rodriguez to 28, the latter being the maximum possible sentence. Each defendant will also be subject to five years of probation following release. "The shocking death of five year old Jordan Rodriguez in 2017 continues to weigh heavily on the minds of our community. While we cannot at this time comment on what is alleged in the lawsuit, Catholic Charities protects and advocates for those who are most vulnerable. All employees undergo thorough background checks and extensive training with regard to ethics and specifically their duties to report child abuse or neglect. Catholic Charities remains dedicated to its core values and will continue its mission of serving the most vulnerable throughout Northeast Ohio and furthering the healing work of Jesus."